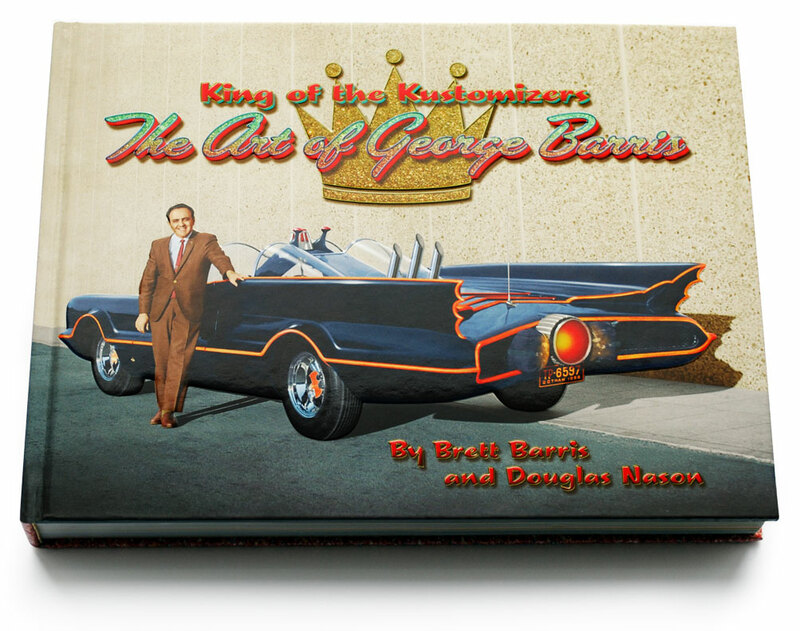 King of the Kustomizerts The art of George Barris, the new book from Brett Barris and Douglas Nason, had been in the works for 5 years. And it shows. Brett Barris and Douglas Nason have done it… create the impossible. 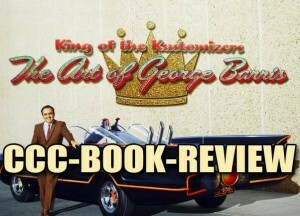 5 years in the making, the long anticipated complete work of George Barris King of the Kustomizers. This book covers it al from the early years of George and Sam Barris as kids, to starting the Barris shop in Los Angeles during WWII, the Golden Years of Customizing with Customs as the Matranga Merc, the Hirohata Merc to the devastating shop fire in 1957 to the rebirth in North Hollywood, with movie cars as the Batmobile and many other TV celeberty cars to the bicycles, the model kits and many, many more memorabilia. The cover of the book is done in semi gloss and the car, George, and the title is embosed and highlighed in a high gloss coat. The photo is colorized by larry Grossman. It is really a big book with 500 pages in full color it is almost an inch and a half thick. Since I have received my copy of this book it has been sitting next to my favorite chair, and every spare moment I have I like to browse thru it and see some more details in the photos. In the first week or so I sat down several times to read all the chapters and essays in the book. The essays are written by Brett as well as several other well known authors. It was a real pleasure to read the many essays and learn a lot of little and not so little details and facts. What I think is really wonderful abou this book is the way that it does not seam to end. 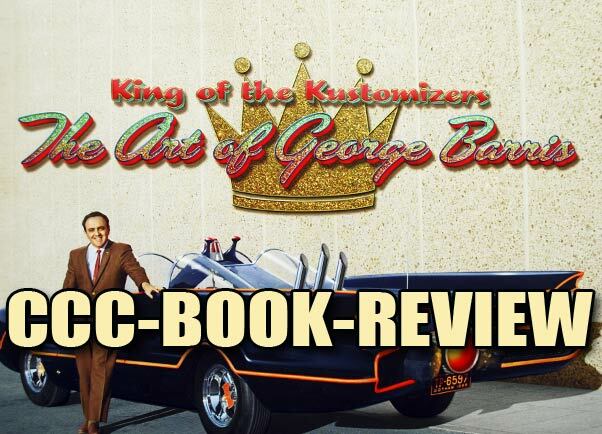 There is so much to tell about George Barris his career, and it is all told in this book. It is a real pleasure to have the complete career now combined in one single book. Brett’s foreword The luckiest kid in the world, is very inspiring, and explains why Brett wanted to create this book. It also explains why the book is completely filled with photos and info. 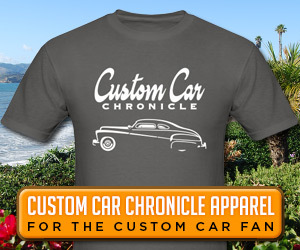 Brett wanted to tell the complete story on his father George Barris, not an easy task, that’s why it took him 5 years to complete, and it shows. A few spread from the first part of the book show shaptrs by Pat Ganahl and Greg Sharp. It tell’s you all about the early Barris Kustoms years. The book contains a massive 500 pages, weighs 1.6 pounds and is filled with an incredible amount of photos of the famous and and not so famous Custom creations. 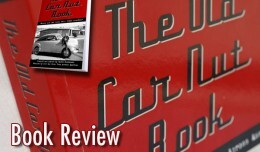 The book illustrates the importance of George Barris and Barris Kustoms in the history of Custom Cars. It also shows how diverse George was, and how he grew in his rol as promotor, although it is evident that from early on this was the roll he wanted to play. The book shows how George became a very successful car photographer from his first black and white, almost snap shot like, photos, to the later high-end color slides. Several essays go deep into specific details of George Barris career. 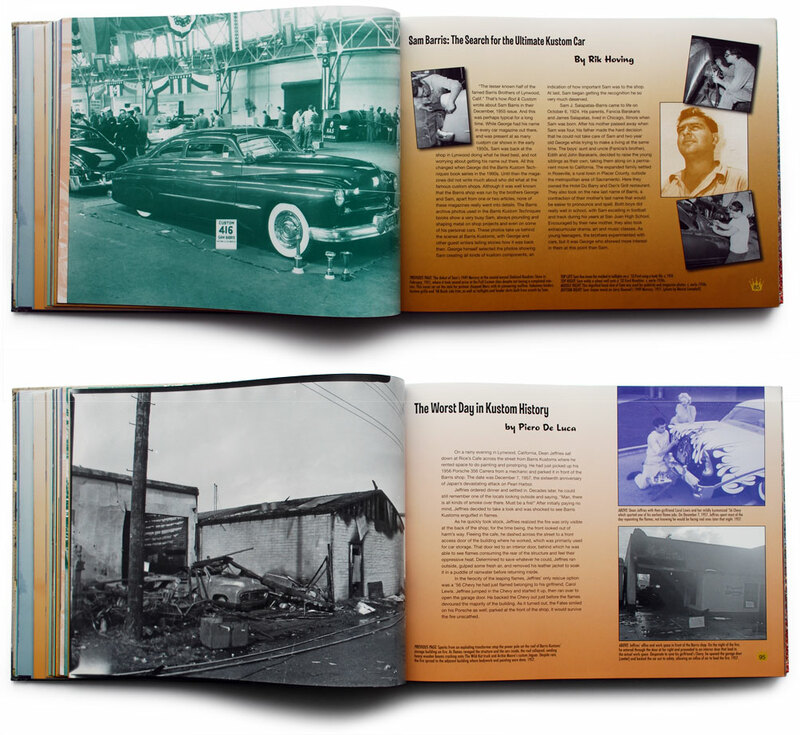 The top spread shows the start o the Sam Barris essay, and the bottom spread shows the devistating shop fire in 1957, with many never before published photos. 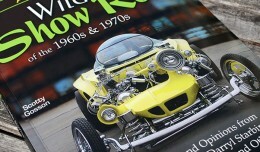 Several of the Barris Milestone Custom Car have special sections in the book. Including the Hirohata Merc, the Aztec, the Golden Sahara, The Batmobile, The Munsters Koach, XPAK-400 and several more. 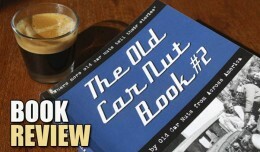 Each of these have a number of pages devoted to the specific car with information, a nice amount of photos, scanned magazine articles, and sketches, illustrating the cars to its fullest detail. A few spreads of the Car specific chapters in the book. 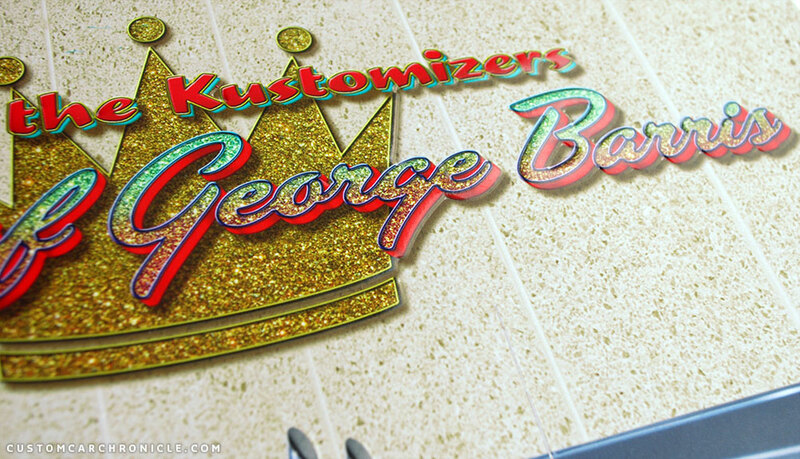 George Barris the “King of the Kustomizers” has been creating Customized cars from an very early age on, and fortunately for us, he has been keeping pretty good track of what he has done over the years. Especially from the mid 1950’s and up there is a lot of material saved and archived. Brett has been able to share a lot of this material in the book. A lot of new, never before material, as well as photos and info we are familiar with. The book shares the career of George Barris over the years, illustrated with photos taken by George, as well as some other photographers. It gives the reader a wonderful look inside, and shows how the career of George hanged and took on new directions several times. The creators have succeeded in creating a document that should be on the bookshelves of any Custom Car and Hot Rod enthusiast. More details from the 60’s and 70’s. 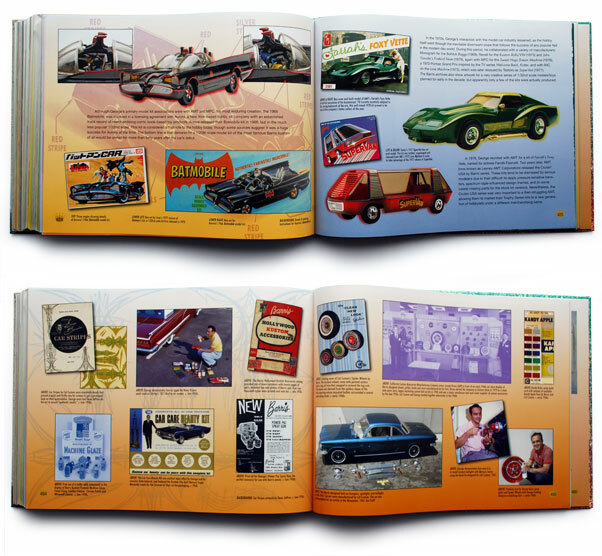 The book covers it all, including the model cars produced from Barris Kustoms, and the many accessory aftermarket parts Barris Kustoms produced. 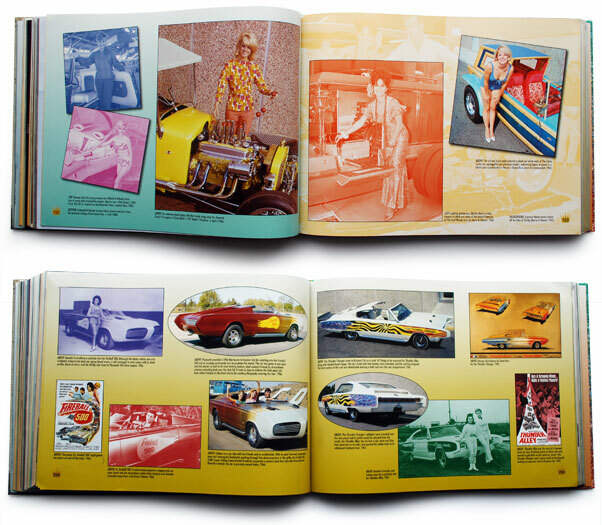 Further to the back of the book we can see and read how George Barris became more of a businessman, got involved in designing toys and plastic kits, car accessories, Buggy’s, bicycles, and many more. In the back of the book there is a very nice selection of Barris tribute art, which illustrated how importat Barris Kustoms has been in history. How it has invluenced so many people and will continue to do so, especially feed with this new book. 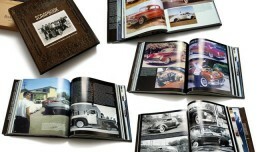 The book is a really great adition to any Custom Car libary, it clearly shows that Brett and his team created the book with a lot of passion and love. I do have two con points on the book that I would like to mention. These are personal drawbacks based on my own prefereance, and I understand that this will be seen by each reader in a different way. The first one is the way most of the black and white photos are being used in the book. Most of these photos are printed in a light color shade, light blue, red, green or sepia. 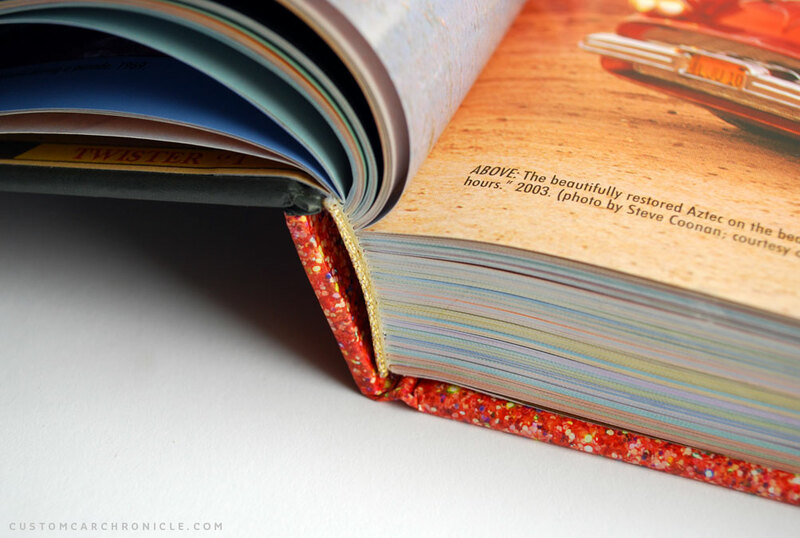 I understand that this was done to give the book pages a more pleasing look, and make them fit better with the very colorful rear section of the book. It does fit in the rest of the layout of the book very much, but from an historic point of view I much rather would have seen these black and white photos being printed as they are, in black and white. The second drawback is again historic related. 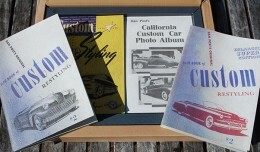 Some of the photos showing the Barris Kustoms early years, from the 1940’s to the mid 1950’s shows material that has been published before in other books and or magazines. This is my own personal favorite period of Barris Kustoms so this means a lot to me. The good thing is that most of these previously used photos are being used a lot bigger and in better quality than we have ever seen before, so they are very welcome. But it would have been nice if more never before published photos from this period could have been used. This early period in the book is absolutely nice, no doubt about that, but a few more never before published photo and used as real black and white photos, instead of monotone colored versions would have been really a real plus for me. Brett Barris is the son of George Barris. 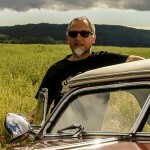 He has worked in the entertainment industry for over fifteen years, and as an art photographer for over twenty. Being the son of George Barris, he knows George’s career better than most. He currently works with his father as a marketing director of Barris Kustom Industries, preserving and extending the Barris legacy. This book fulfills a longtime dream: to share his father’s work as an innovator and multi-talented artist with a wide audience. Douglas Nason is an anthropologist who has used both writing and photography to explore a deep interest in art and culture. Nason is the author of numerous art books on topics ranging from Tiki to Kustom Kulture, as well as being an award-winning photographer. His work has appeared in publications such as Islands, Juxtapoz, Barracuda, Los Angeles, LA Weekly, World Explorer, International Tattoo Art and H20. Nason has co-curated close to 100 groundbreaking art exhibitions as former co-owner of Copro/Nason Gallery in Santa Monica. If you want to order a copy of the King of Kustomizers. The Art of George Barris, use the direct link to Amazon below. 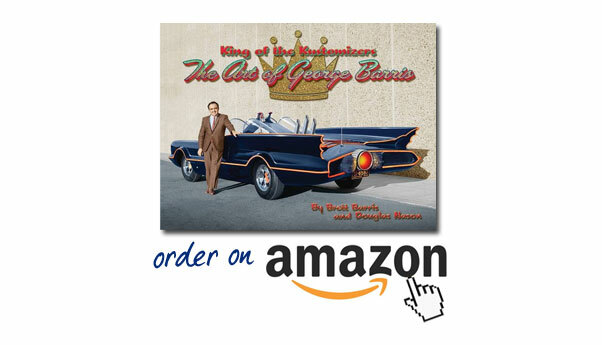 A copy of the book signed by George Barris can be ordered directly from the BARRIS SHOP. Thanks for very informative description Rik! I will look forward to get this book. 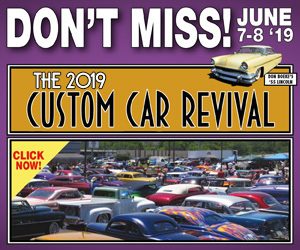 Holy smokes , an inch and a half Barris custom car history , yes I take one , nail biting anticipation ! Headed out to order it now!! Can’t wait to read it. Thanks for the great review Rik! As for the New Barris Book im glad its here after 5 years because I paid for my copy 5 YEARS AGO…!! Amazon was already selling this book before it was printed and they never told you this and when I bought it said the waiting time was unknown…!!! And took my money….!! Tho looks like it was worth the wait…….!!! Great job Brett ………….. !! !